Ice cream ICECRO is prepared according to original recipes from carefully selected natural ingredients of the premium class - fresh cream and milk, ripe berries and fruits, fragrant chocolate and nuts, so it is differed be a delightfully delicate flavor, and fully meets the highest quality standards of All-Union State Standard. 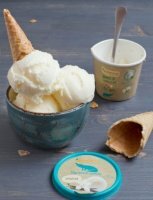 The rich flavor gamma ICECRO, which includes both classic and original varieties of ice cream, is designed by professional technologists based on the preferences of the most demanding audience. Ice cream ICECRO is prepared according to original recipes and meet the highest standards of All-Union State Standard. 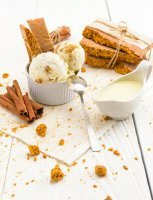 To create ice cream and desserts ICECRO only high-quality and natural ingredients are used. What does "perfect ice cream" mean to us? It means a variety of flavors, fresh and natural ingredients that have kept a maximum of vitamins and benefits. Only like this a sweet ball can give you lots of positive emotions and a charge of good mood. Natural ice cream from ICECRO is exactly like this. 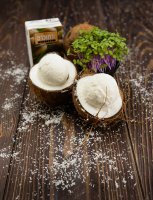 What is the secret of the amazing taste and benefits of ICECRO ice cream? It's all about our responsible approach to details. We carefully test and refine our own recipes, so the results are always so exquisitely delicious. Why is our ice cream so healthy? When making our ice cream we only use natural ingredients and flavorings, and preserve maximum of useful properties and vitamins. 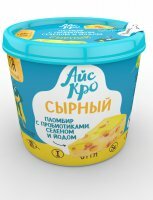 ICECRO – 100% natural ice cream. Do you appreciate real emotions, feelings and taste? Here you can use Vegetarian Card. © LLC "Il Mio Morozhenko", Moscow, 2017.